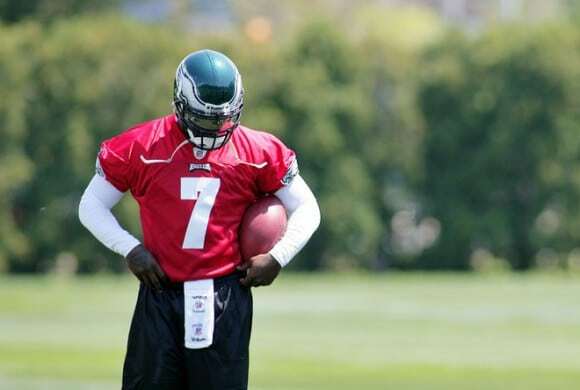 In a stunning move, the Eagles have announced that Mike Vick is the team’s starting quarterback. The tone and content of that communication strongly suggests that this isn’t merely a situation in which Kevin Kolb is still recovering from the concussion he suffered nine days ago. Indeed, Jay Glazer of FOX reported over the weekend that Kolb was cleared to play on Saturday; absent another blow to the head since then, Kolb should be fine. It appears instead that Vick is taking over, and that Kolb will be a highly compensated backup. The next question becomes whether the Eagles will try to take advantage of the uncapped year to sign Vick to a long-term deal.